We have in our stores for prestigious clients a broad range of AC Drives Soft Starters, which is precisely manufactured using finest grade components and modern techniques at our vendor’s production unit. Depending upon the application specific requirements of the clients, these are manufactured by our vendors in different specifications as per the given details. Further, the range is subjected to rigorous checks and tests to ensure delivery of only defect free products at client’s destination. 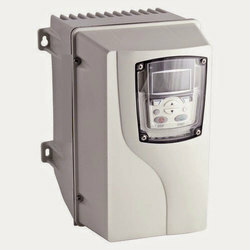 Looking for AC Drives Soft Starters ?